My husband the King doesn’t ever mention his late grandmother’s name (Hazel, btw) without adding that she was a fine pie baker. 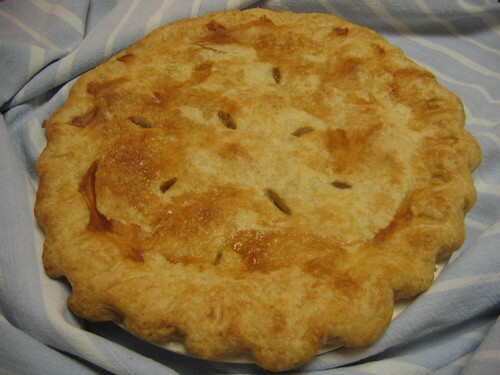 One of her specialties, he recently told me, was an apricot pie made with dried apricots. He said that in a wistful tone, designed to melt a queen’s heart and loosen her grip on the other pie recipe she’d planned to use this week. Faithful readers might recall that my grandmother made pies, too. While my memory may be nostalgically rosy, I seem to recall that they were uniformly delicious. (No apricot, though.) 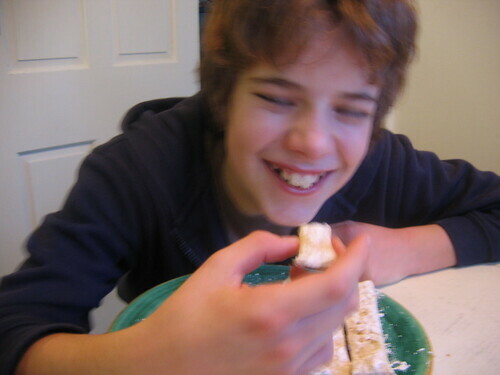 But as a child, it wasn’t pie, but rather cinnamon sticks, that I believed were Gran’s culinary claim to fame. I’ve since figured out that cinnamon sticks aren’t exactly the stuff of Le Cordon Bleu. 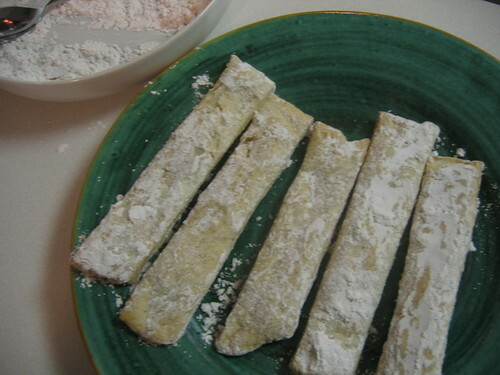 Actually, they’re just the leftover scraps of pie dough, cut into rectangles, baked, and then swirled with powdered sugar and cinnamon. When I was eight, though, I wouldn’t have traded a plate of them for anything . . .except maybe an autographed photo of Davy Jones. So today’s question is: Do you have a specialty? (I only want to know about food, thank you, not auto repair or birdcalls.) Because, after serious reflection, the Queen thinks that perhaps, everyone should. Trust me, this could make your life much simpler. 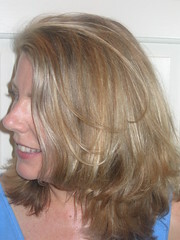 And it may give you a shot at posterity. The one downside of having a food-related specialty is that it will get called into play often. Invited to a party? Forget making anything but that for which you are known. Just ask Soren (Caesar salad), Wendy (coffee cake), Anita (tortellini soup), or Kenny (cranberry bread). April knows that everyone will show up when it's tamale night; Follin is aware that for many of us, Christmas just wouldn't be Christmas without her celebrated milk punch. And yes, I’ll admit that I’ve been asked to make a pie or two along the way. Those golden handcuffs, though, are more often blessing than curse. Remember, a specialty can simplify. There’s no need to scour the recipe books or tax your tired gray matter for innovative, trendy contributions when all anyone really wants is Aunt Betty’s bread pudding with bourbon sauce. Maintain a stash of ingredients for Your Famous Dish and instead of grocery shopping, take a nap. 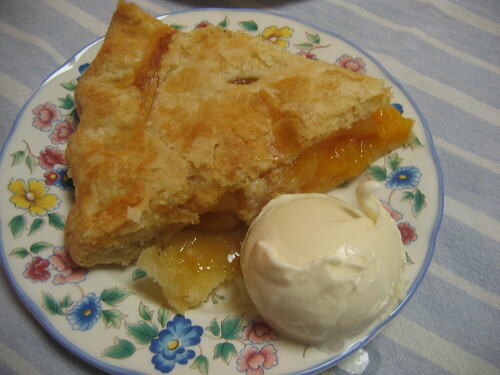 So how did my apricot pie compare to Hazel's? Alas, the King informs me that Hazel’s pie contained more goop and less fruit. Oh well. For what it's worth, something about these cinnamon sticks aren’t quite the same either, although a certain young person seemed to find them more than acceptable as an afternoon snack. Truth is, the specialty is never as good when prepared by someone else, although that may have more to do with mystique than mastery. And what about your specialties, dear Readers? Tell me what you do best; I’ll make sure to ask you to bring it when we all get together for dinner. Although this recipe hails from Crisco-land, the Queen confesses that she doesn't use Crisco in her pie crusts. Let's just keep that our little secret, okay? Combine apricots, lemon, and enough water to cover fruit. 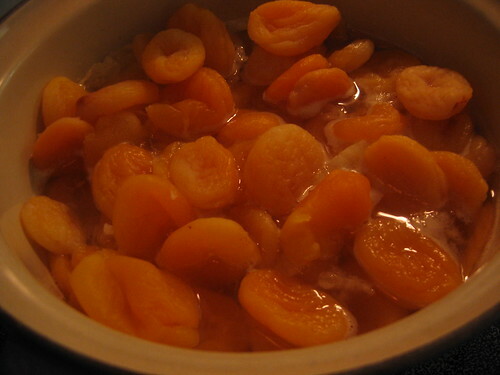 Bring to a boil and then simmer, covered, until apricots are very soft and tender -- about 45 minutes. Remove fruit with a slotted spoon and reduce remaining juices in saucepan until 1/2 c. remain. Stir in vanilla. Preheat oven to 425. Line pie plate with pie crust. Spoon in apricot mixture and then drizzle juice over top. Sprinkle brown sugar over all and then dot with butter. Cover with top pie crust, trimming as necessary (cinnamon sticks!). Brust milk over crust and sprinkle lightly with sugar. Cut several slits in crust to vent. Bake at 425 for 15 minutes; reduce heat to 350 and bake 30 minutes more. One of my specialties is from the King's other grandmother. Grandma Bert's macaroni and cheese. It is a perfect dish if you are looking for somewhere to use that leftover holiday ham. Comfort food at its best. Now that you mention it, I do remember that apricot pie. But nothing was better than Grandma Hazel's lemon chiffon pie with whipped cream topping (she used fresh lemons from her yard. )Maybe that can be added to the Queen's To Do List! Celine, I hope you enjoy! SoCalSis, Grandma Bert's mac and cheese is indeed legendary. I'd love to try the lemon chiffon; perhaps you could do a bit of culinary sleuthing and see if Hazel's recipes are anywhere to be found? Although, when I was in college I was (in)famous throughout my dorm for fresh-baked bread which was from a deceptively easy recipe.